“Laboratorio di Astrofisica Sperimentale” (Catania-LASp for short) has been active in Catania starting from the eighties. 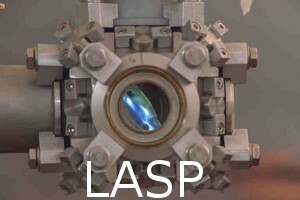 LASp has developed “in situ” techniques and equipments to analyze the effects of irradiation (ion and/or UV photons) and thermal cycling (down to 10 Kelvin) by Infrared, Raman and UV-VIS-NIR spectroscopy. Analyzed materials in the past includes: frozen gases, solids samples, meteorites. Over the years, many hundreds of ice mixtures of various compositions and of solids have been studied, producing a wealth of data which may be of use not only for the astronomical community.